The ResMap Systems are using our very flexible and intuitive software. 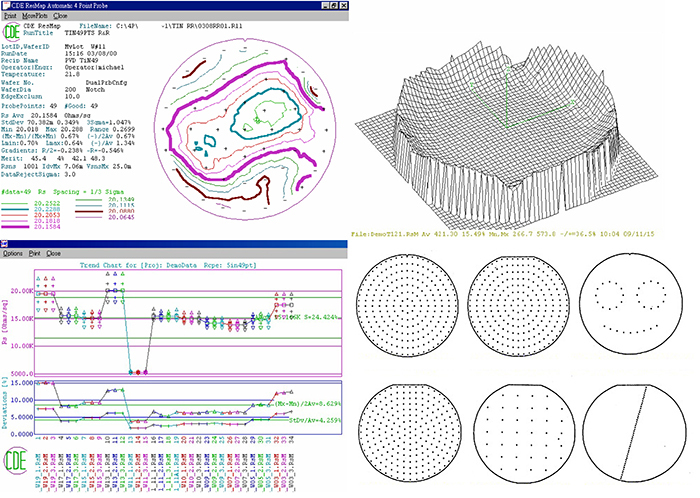 From the virtually constraint-free definition of the measuring pattern, to the real time monitoring of the test, to the whole array of analysis tools to extract for the user the relevant data, everything that is needed to map and analyze your wafers is available in one place. To allow for even more flexibility, all the input are editable and all the output files can be used easily by external tools.